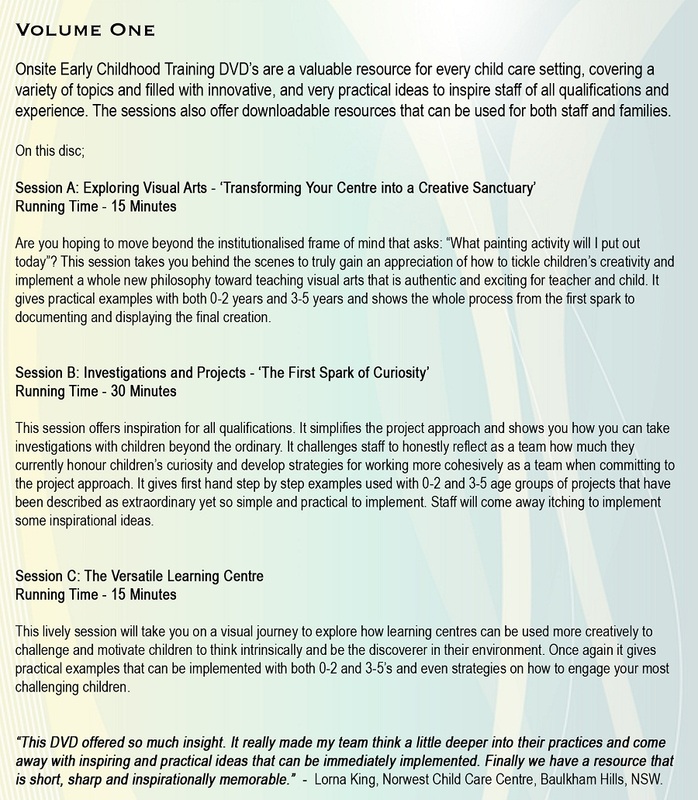 DVD’s are a valuable resource for every child care setting, covering a variety of topics and filled with innovative, yet very practical ideas to inspire staff of all qualifications and experience. The sessions also offer downloadable resources that can be used for both staff and families. The ongoing requirement for staff training in the child care profession, is one of the leading areas of stress and headaches for centre directors and managers and if you have ever wondered how you are going to fit staff training into the busy centre schedule and budget your not alone! If you have ever had to deal with staff who dis-like having to travel and take part in child care staff training outside of work hours, then you know that keeping staff motivated and inspired can be extremely challenging. 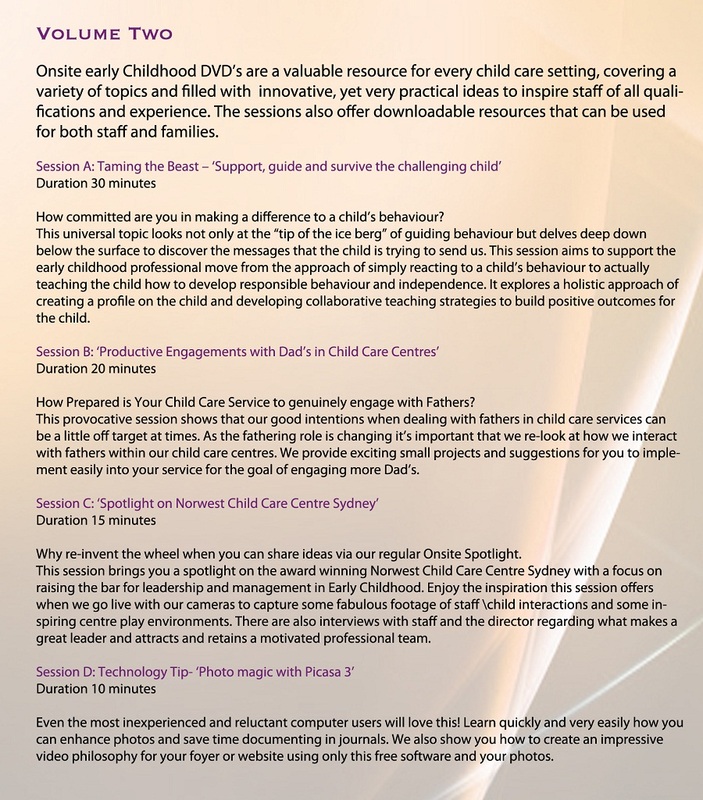 Onsite Early Childhood Training is DVD based child care staff training that has been developed by child care professionals and consultants, who are very passionate about creating current, up-to-date training session’s that allow staff to train at their centre and as a whole team. Below is the back blurbs off DVD 1 and DVD 2 so you can get a full understanding of what each covers.